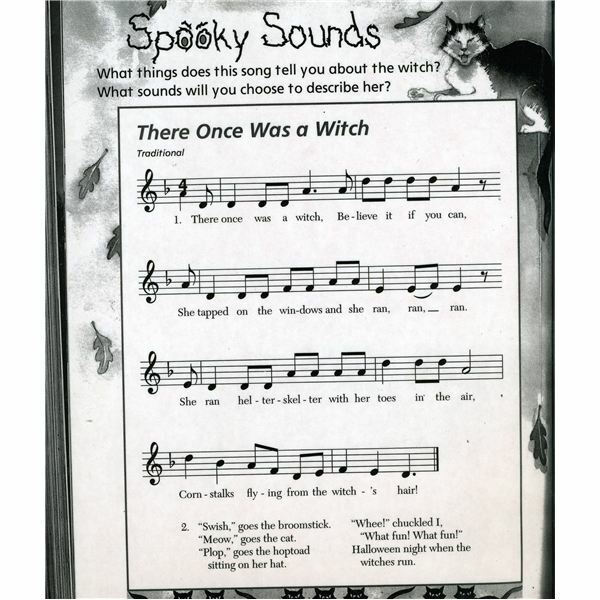 Halloween in Music class is a time for singing spooky songs and playing instruments that create neat sound effects. In fact, students love it so much that they even ask to sing them in the Spring! Here are a few favorites of some of my primary students from years past. There are many versions of this song but I use the Raffi version from the CD, More Singable Songs,Track 12. It is a cute version and many of my students are familiar with other Raffi tunes. I first introduce the song to my students line by line using hand motions (for the younger students) and using sheet music for the older students to follow along. The lyrics I use are written by Jean Ritchies but are from the Learning with Raffi book that accompanies the CD. I have them sing as quietly as possible and then at the very end they shout, "BOO!" They get such a kick out of scaring each other and I always have them do it to their classroom teachers when they come to get them. What a riot! I also like to have the students use quiet hand drums to keep the beat or "pulse" in this case, (like a heartbeat) for the duration of the song. A sweeping upward motion on the xylophones is also a neat effect for wind on the fourth beat of the "Ooooh" part. The kids LOVE to turn off the lights during this song for even more effect. Who doesn't like to be scared, right? 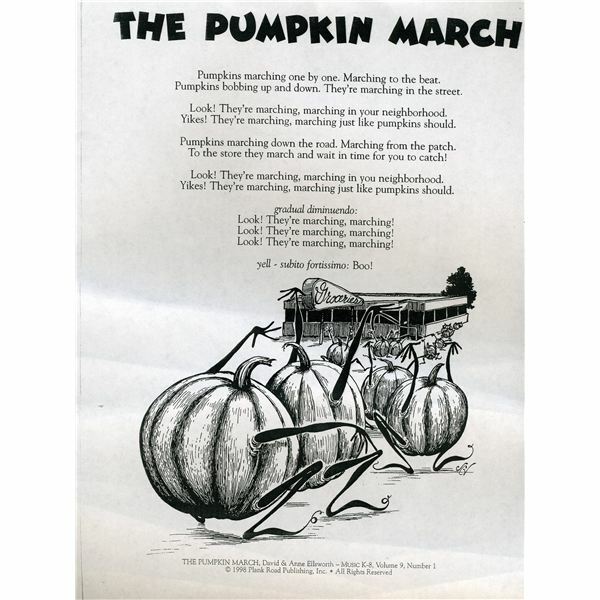 This is a traditional Halloween song that I use from our classroom textbook series, The Music Connection by Silver Burdett Ginn. It can be found in the Grade 2 books (orange) on page 178. I have the students use different instruments to create the various sound effects in the song. For example, for the word, "Swish" they can play the maracas and for the word, "Plop" they can use a bongo drum. In addition, for the words, "tapped on the windows" they can use rhythm sticks and for the word, "helter-skelter", they can use the vibraslap (sounds like chattering teeth). The kids really love making neat sounds with the instruments that they don't get a chance to use much during the year. This is a Plank Road Publishing Music K-8 song that I use with my 2nd and 3rd grade students that focuses on dynamic range. They start off singing the lyrics very loudly and for each verse they get softer and softer until the end when they shout, "BOO!" I also have them march either in place or around the room in a circle and they march lower and lower as the music gets softer. They then stop as the music hesitates and jump on the "BOO!" It's a fun song and good for their listening skills as well. 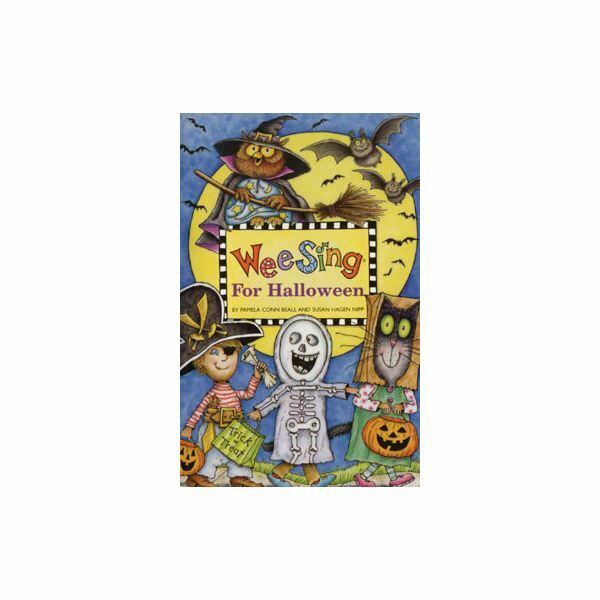 Wing Sing for Halloween by Pamela Conn Beall and Susan Nagen Nipp – Songs included are: The Ghost of John, Five Little Pumpkins, Dry Bones, I'm a Little Pumpkin, plus many more. 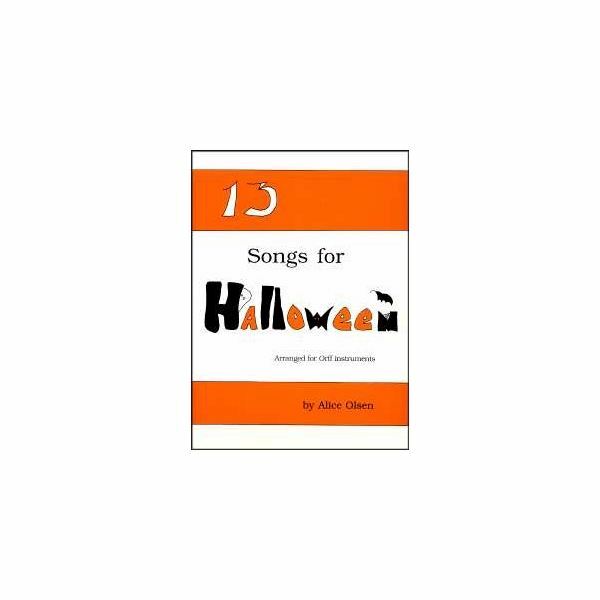 13 Songs for Halloween by Alice Olsen – This is a book of Orff arrangements that incorporate a variety of instruments to create fun and spooky Halloween sound effects. 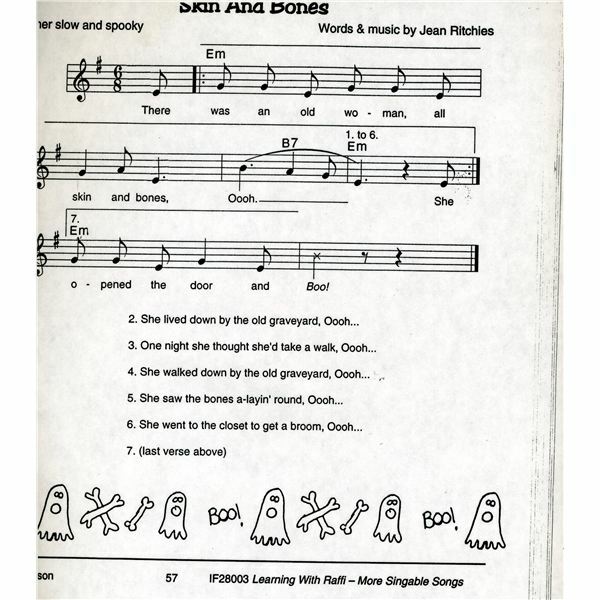 Looking for some “spooktacular” Halloween songs and activities to use with your elementary Music students? Well, here you go…use them if you dare!